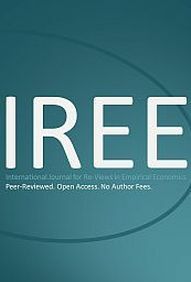 This study replicates estimation results from Jennifer Abel-Koch, Who Uses Intermediaries in International trade? Evidence from Firm-level Survey Data, published in The World Economy (2013). In this paper she uses firm-level data from Turkey. The pure replication performed here that is based on a sample that differs only marginally from the sample used in the original study is successful. In addition to the pure replication I use firm-level data for Egypt from a highly similar survey. The most important result found by Abel-Koch for Turkey -- a negative relationship between firm size and the intensity of use of intermediaries in exports -- is found for Egypt, too. Results for the link between other firm characteristics and indirect exports via intermediaries, however, often turn out to be different. This log-file documents the results from the pure replication for Turkey. This log-file documents the results from the scientific replication for Egypt.